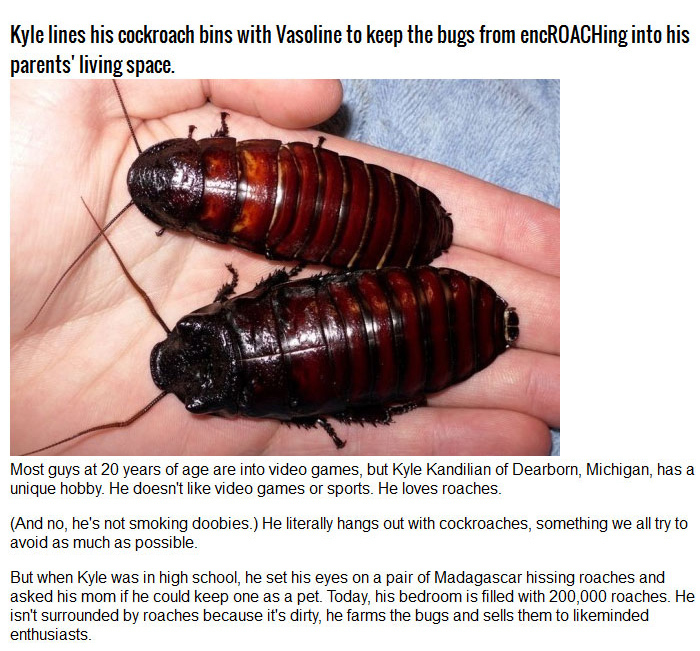 Kyle Kandilian is a 20 year old student from Dearborn, Michigan, that is completely obsessed with cockroaches. 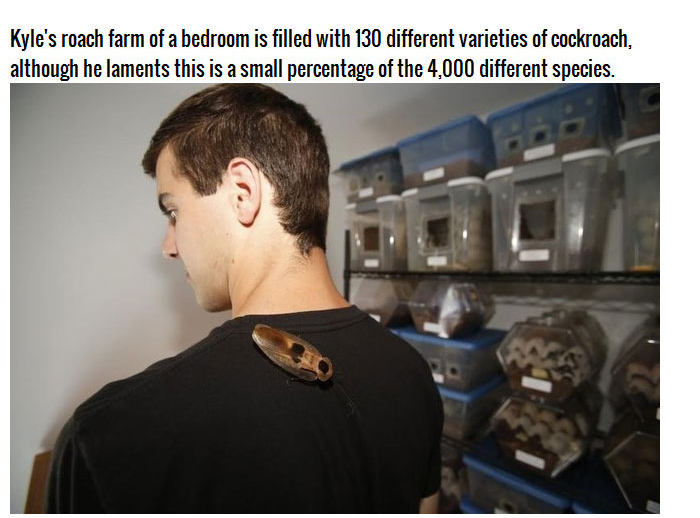 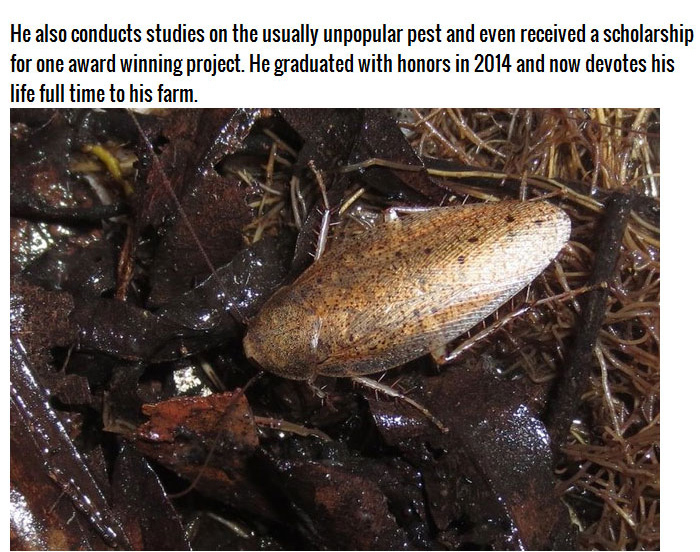 He breeds them in his bedroom and currently has over 200,000 of them living in there. 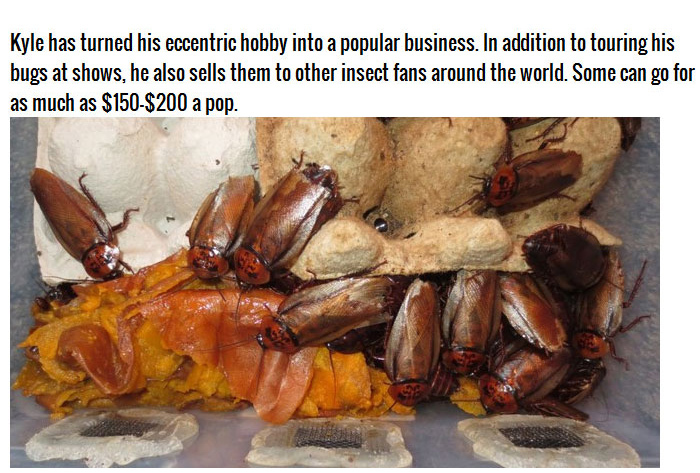 It's safe to say he probably won't be getting a chick in his bed any time soon.